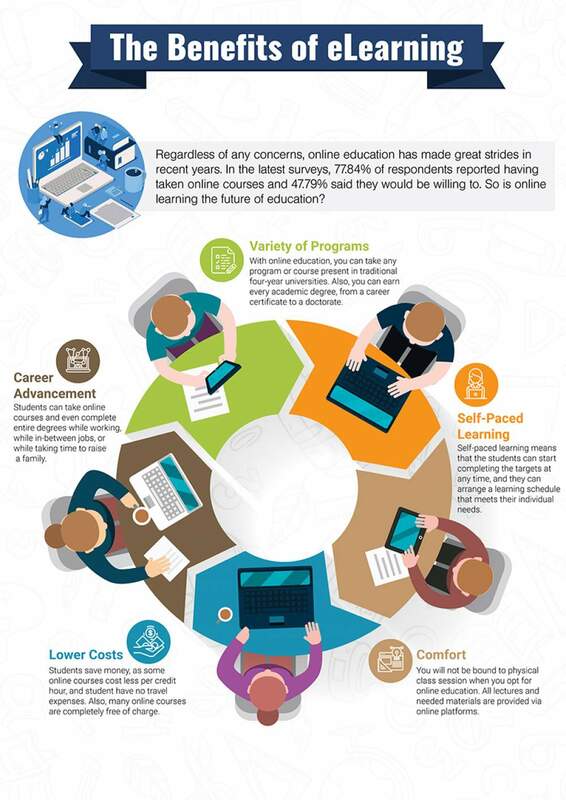 Online studying changes significantly the way students get their education these times. Due to this innovation, a lot of discussions aroused. The infographic presented on Rush-essays.com experts tried to highlight the advantages of eLearning. It can be helpful and interesting for all people who are still wondering whether this innovation is going to facilitate and improve the education process or, just on the contrary, cause some difficulties. In short, online education provides with a new personalized model of learning, offering a great variety of programs to be chosen. Online courses are also free of charges. In addition, no travelling expenses. So, eLearning also cares about the well-being.